If gold isn't quite the right message, be sure to check out the cute coffee bean ice cube tray, the Java Log Firelog, or the coffee flavored lollipops. Be prepared to delight in the various ways coffee shines in these unique gift items for both men and women as you search for the appropriate present whatever your price point. With a sleek Finnish design of handcrafted pressed birch and a crisp white top layer, the recipient can measure their coffee and also keep it fresh using one tool. 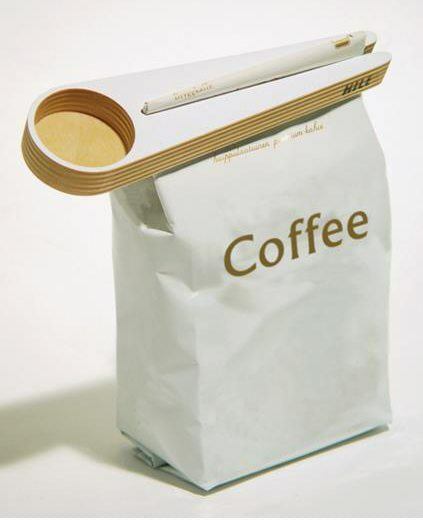 The slot in the handle of the scoop is the right width to use as a seal on the bag of coffee so it will last longer. It will last for years to come as a handy coffee accessory with a little kindness and the occasional application of food grade wood oil to preserve the finish. 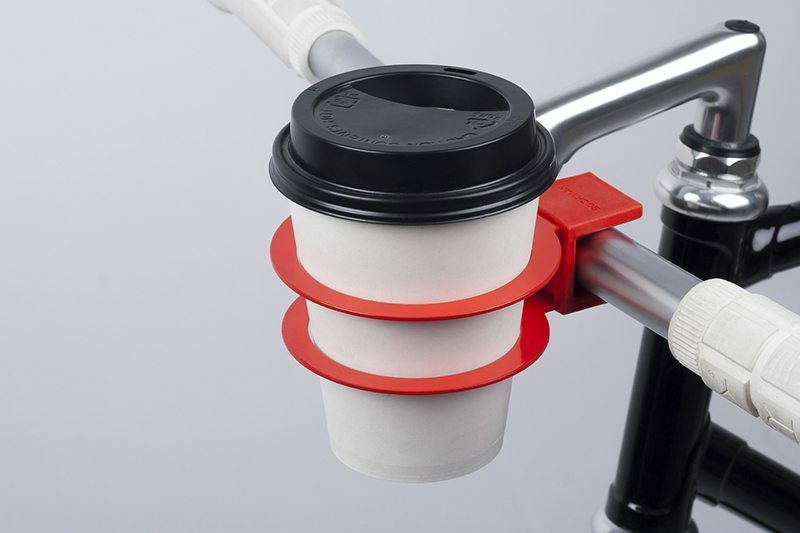 Cycling and coffee seem to compliment each other and as their energy wanes, they can reach for their coffee mug or to-go cup with this fun attachment to their bike. It comes in four colors (red, lime green, white, and black) so you can match their gear with precision. Unlike the angled water bottle holder, this one is made to attach to the handlebars so the coffee cup remains upright, secure, and within easy reach as they ride. 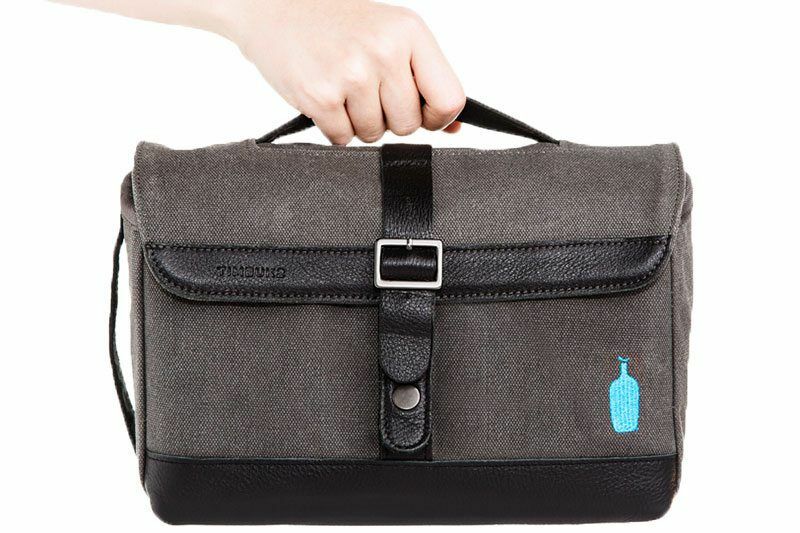 Blue Bottle has paired up with the bag maker Timbuk2 to create two essential coffee kits for those who are traveling for short trips or indefinitely wandering. The ‘Weekender' or the ‘Sabbatical' kits contain, within a custom Timbuk2 leather and waxed canvas bag, all the tools needed to hand brew and sip delicious coffee. Whether they are just taking a day trip or are on the road, give them the ability to make amazing coffee wherever the road takes them. If they've caught the 3D latte art craze, but don't have access to an espresso machine, this little device can create the type of textured milk needed to create these fun works of art. With a little practice, they will be making 3D cats and bears with milk foam. Be sure to brush on some chocolate features to make them come to life. 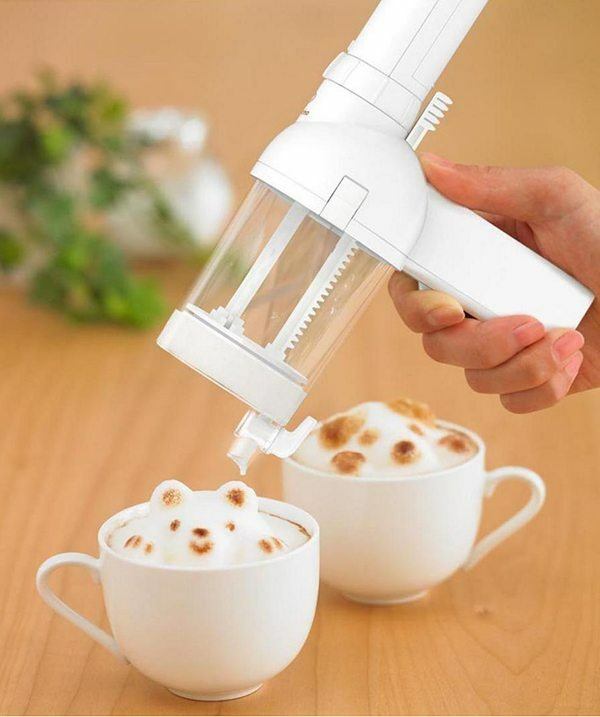 This foam-making device is a fun way to explore latte decorating right in their own kitchen. 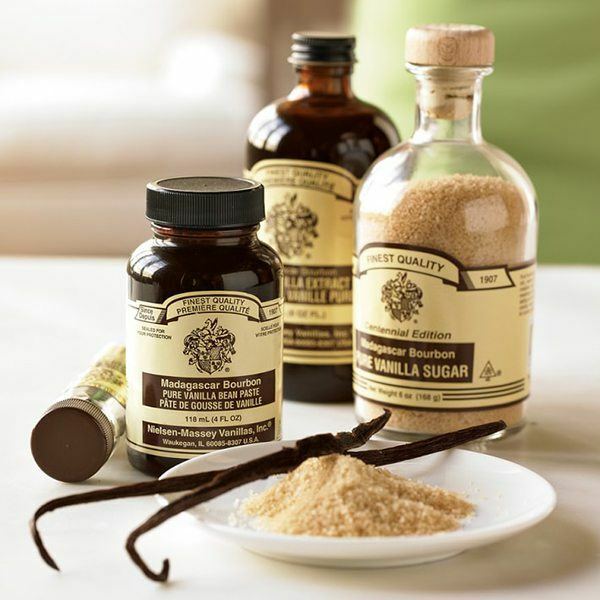 It can be hard to replicate the taste of their favorite latte or caffeinated concoction from the coffee shop at home, but this specialty sugar infused with real vanilla can't hurt. They can sprinkle it over their latte foam or mix it in for fragrant and sweet vanilla flavor to make their coffee even better. They might even find themselves bringing it with them to the coffee house to make their drink taste just right. It comes in a lovely glass tube with a cork stopper, which will brighten the kitchen counter nicely. 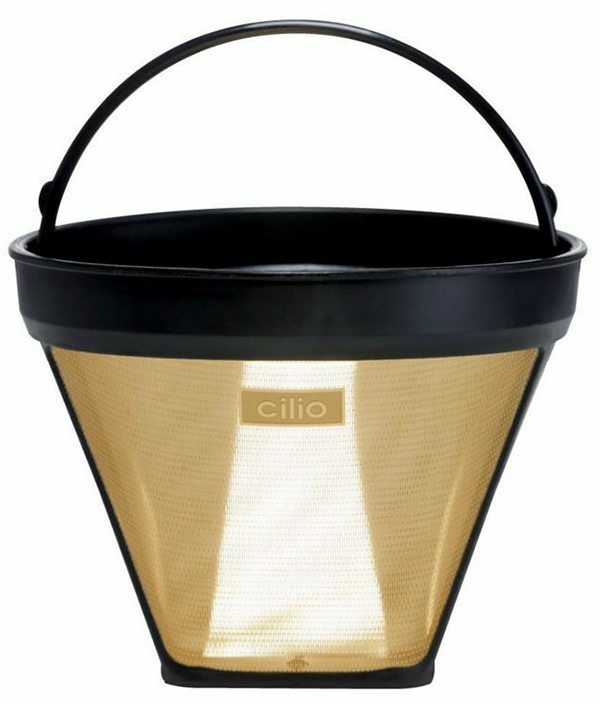 For those who already have a great home coffee brewing set-up that takes #4 cone filters, get them the Frieling/Cilio 24 karat gold plated reusable filter. This isn't just a marketing ploy, it really is gold plated stainless steel, and the intention is to help reduce flavor intrusions from the brewing water, previous coffees, and the filter itself. Gold is a non-reactive metal that will keep flavors of other coffees from contaminating the perfect brew, so they can enjoy unadulterated coffee the way it was meant to be enjoyed. 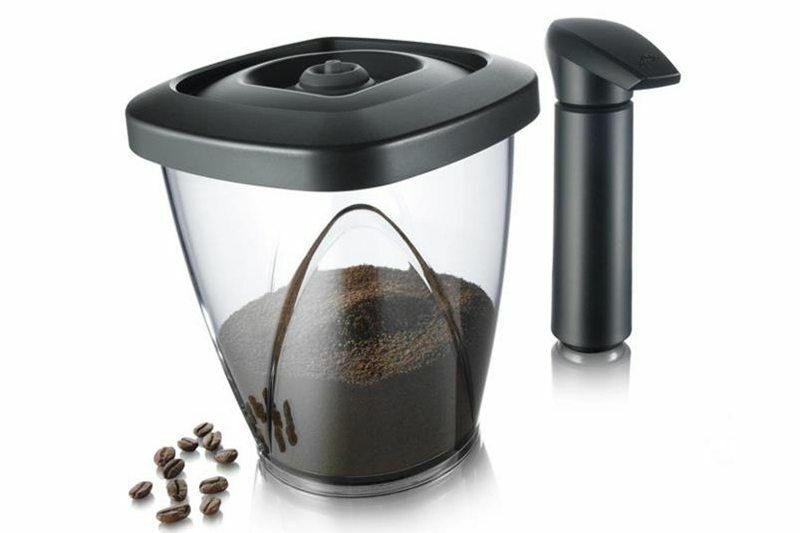 This neat tool is great for the coffee enthusiast that is not able to finish a bag of coffee within the optimum freshness window, or for those looking to improve their coffee bean storage solution. Keeping air out prevents the coffee from losing its vigor, which makes for a better tasting brew. This tinted container will also keep the damaging effects of light away as well. It holds up to 1.1 lbs of coffee, tea, cookies, or whatever else needs saving. It also includes a food pump, which helps break the vacuum seal, making it simple and effective. If your coffee loving buddy wants to hone their skills in the art of scent identification for the purpose of coffee (or wine) tasting, this exhaustive 36 scent kit and identification booklet will help with finding the right descriptive word for the bouquet over time. 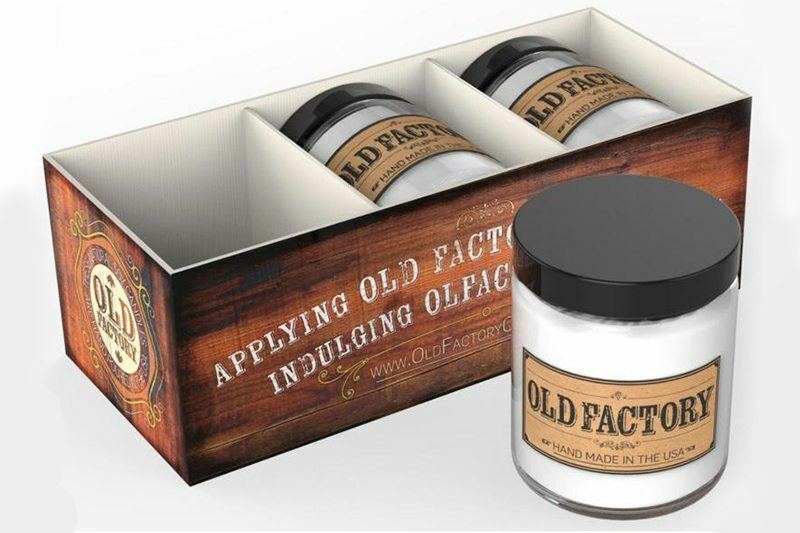 By sniffing the vials included in this kit and becoming familiar with the subtleties of different aromas, it opens the doors to a sharper sense of smell. This is very useful in the professional world of coffee tasting and cupping and is a sure hit for the serious sipper. Iced coffee gets new meaning if they make the ice cubes out of coffee too! This fun silicone ice cube tray makes coffee bean shaped ice, which is a great addition to the iced coffee drinker's gear. When you make the ice cubes out of coffee you can be sure it will stay undiluted as they sip their iced coffee beverage. The tray is dishwasher safe and the silicone means easy removal of the cubes. Be sure to pick up two for the avid ice user, as each tray only makes 8 large cubes. 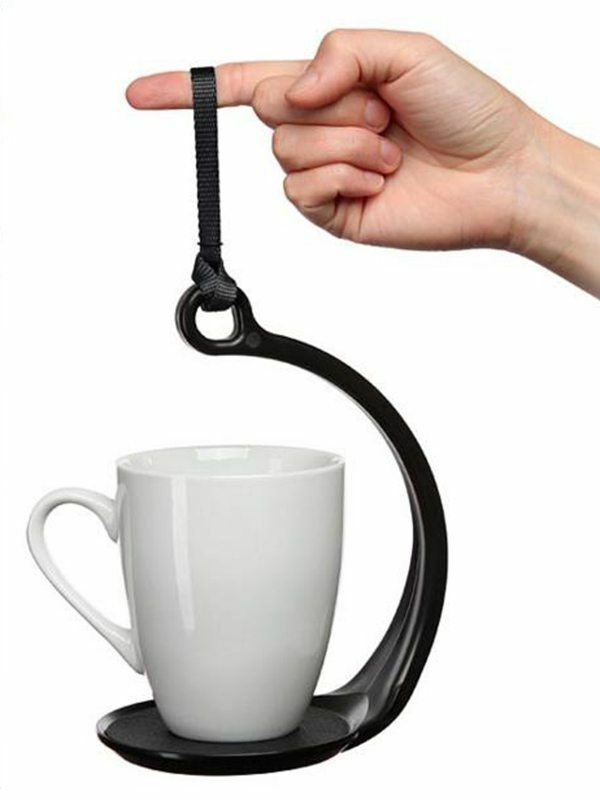 For the inner geek, this coffee cup holder uses science so that users can carry a full mug without a lid and not spill it. The secret is the property of centripetal force which will keep the beverage in the cup when the user is walking or even performing tricks such as swinging it over their head in circles. This neat holder is meant to impress others with the ability to defy expectations and impress with the powers of physics. 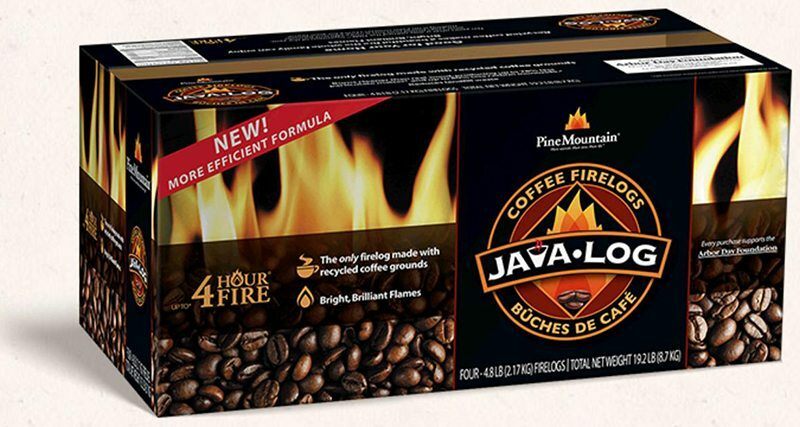 Coffee grounds take on new life after being used in this compact java log firelog, the only log of its kind. Increase sustainability and enjoy the rich scent of coffee, which burns brighter and cleaner than traditional cord wood for up to 4 hours. 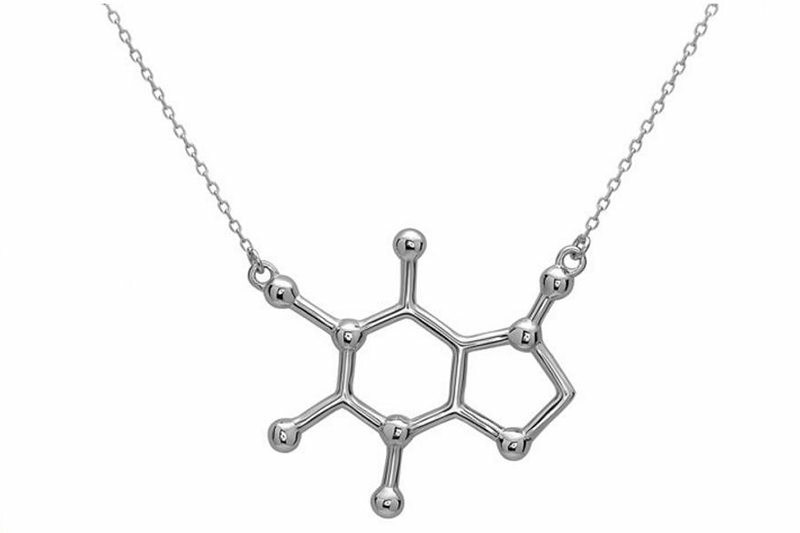 This beautiful representation of the caffeine molecule is a great gift for the chemistry-loving coffee drinker in your life. It comes in either an 18 karat gold or rhodium plated finish over sterling silver on a delicate matching chain. It even comes in a decorative organza pouch, so there's no need to wrap. A subtle, yet interesting reminder to get their daily intake. 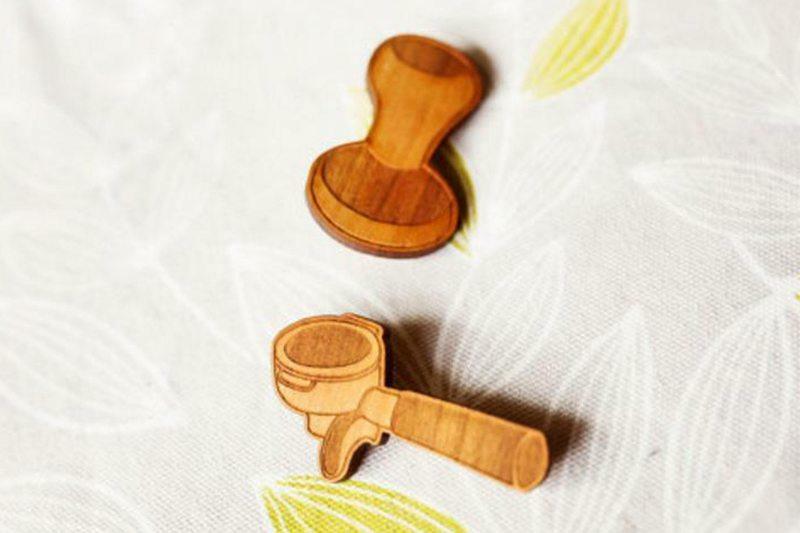 For the professional barista in your life, treat them to a cute set of laser-cut cherry brooches in the shape of an espresso portafilter and tamp. The wood is available finished with a varnish of your choice, for the right accent to their work apron or outfit. They are easy to wear and will stay put with the bar pin with locking clasp for security. This company even makes matching earrings! A versatile silver spoon stamped with the words “Good Morning Beautiful” is sure to get their day going with a happy start. The daily affirmation goes well with the ritual of making coffee. The recipient can use this spoon for measuring and grinding beans to adding the cream and sugar to the finished product. 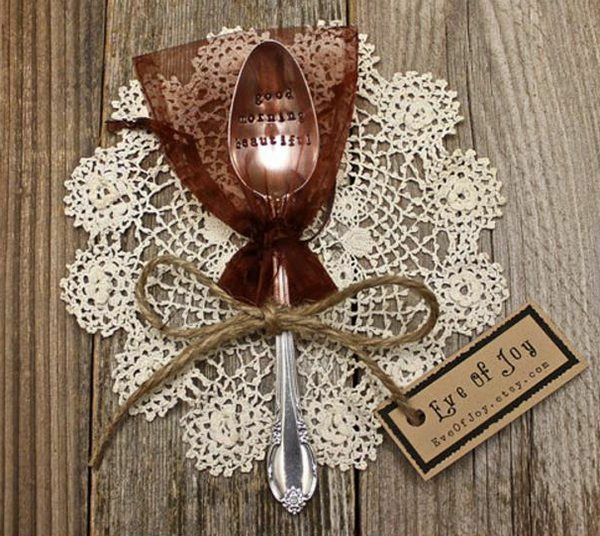 Enjoy sharing this up-cycled unique vintage silver spoon that comes polished to a high shine ready for daily use. This company also sells spoons with various other phrases like ‘Coffee Now Wine Later' and ‘I Love You A Latte'. 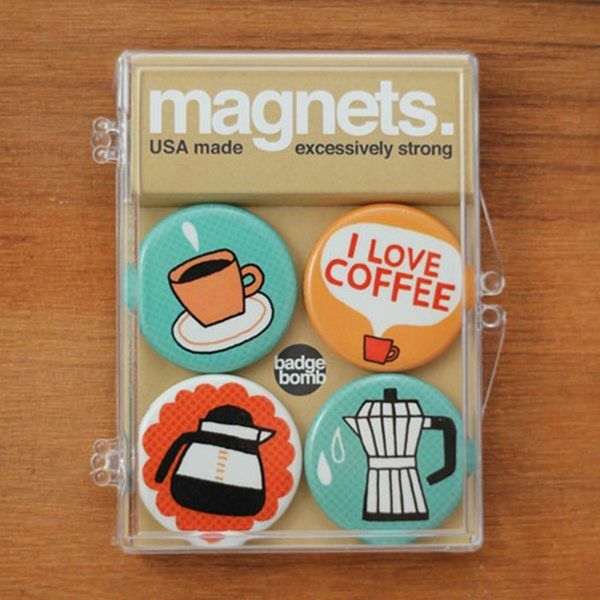 This adorable set of 4 round magnets display a coffee cup, a moka pot, a classic diner coffee carafe, and the words ‘I Love Coffee' so the world can share in their adoration. A great gift for the smaller occasion, these magnets come in a plastic container that snaps shut. The packaging says that the magnets are ‘excessively strong' so they can display their photos and other fridge paraphernalia with confidence that it won't fall off. They claim to be the original source of the coffee bean body scrub, but who can say for sure? 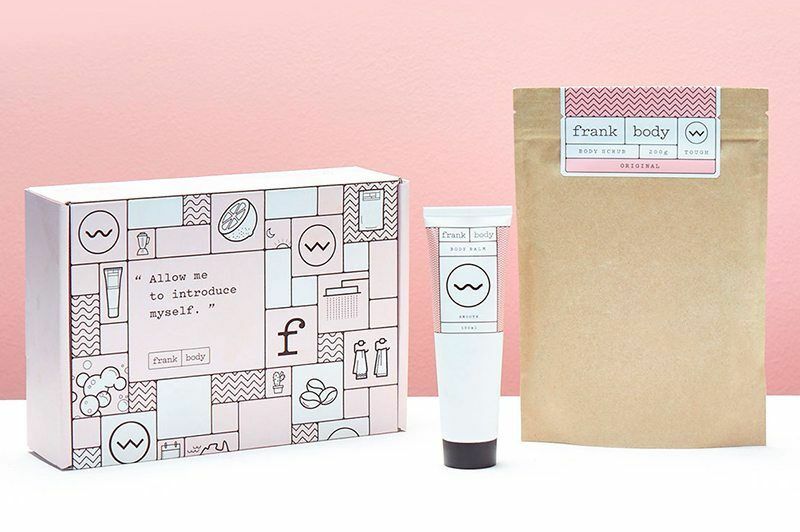 Regardless, they have an assortment of coffee inclusive products for skincare and even have a few bundles that include their caffeinated body cream and coffee scrub. These products promise to slough off dead skin and smooth the surface after exfoliation for touchable, silky results and are the right gift for skincare fans. Bring the scent of popular coffee shop drinks to the home with these soy wax, self-trimming wick, 4 ounce glass jar candles that burn for 25-30 hours. They come in a set of three fragrant scents: coffee bean, hazelnut, and chai tea. For candle lovers who also love the coffee shop vibe at home, you can't go wrong with these as a housewarming gift. 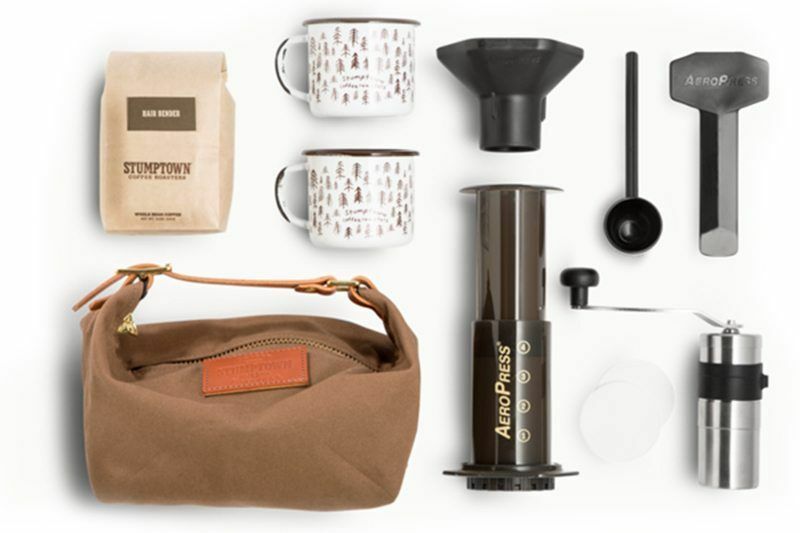 Stumptown Coffee Roasters offers a large selection of carefully chosen brewing gear kits for everyone on your gift list that loves making hand brewed coffee at home or on the road. There is everything from a minimalist kit with an aeropress, tin mugs, and a canvas and leather carrying bag to an entertainers set that comes with a large brewer, grinder, and other goodies for stay-at-home brewer. An item of special note is the all copper pour over setup, which is sure to impress your coffee lover that wants something different. Select your favorite and maybe get one for yourself as well! We won't tell. 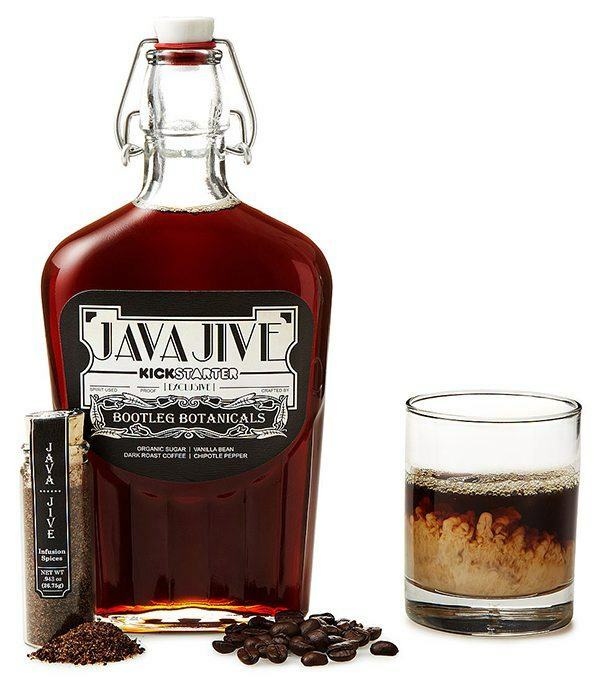 For the coffee lover that takes their habit into the evening, try giving them this Coffee Liqueur making kit. The only thing they need to buy is their favorite rum to yield 500 mL of tasty vanilla coffee liqueur in about 54 hours. This kit comes with spices and botanicals, a 500 mL bottle, a stainless steel funnel, and a natural filter. 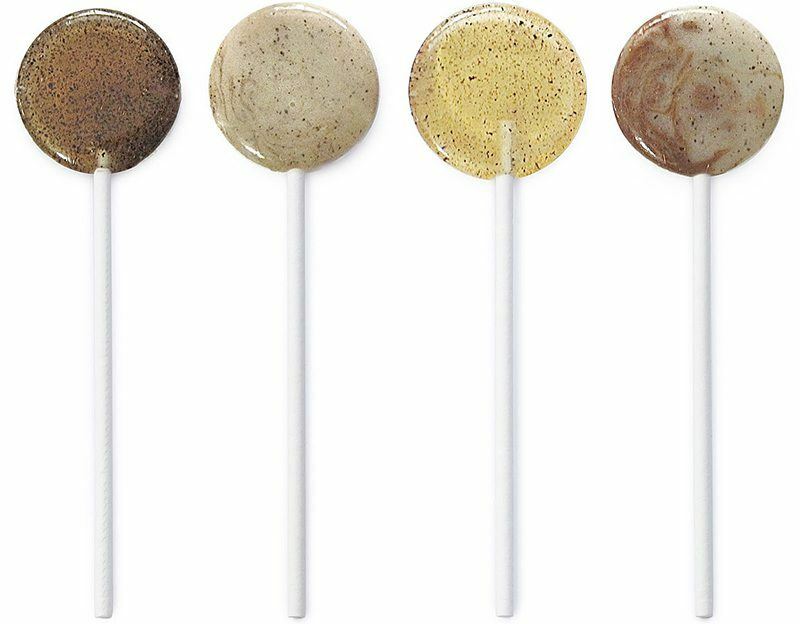 Handmade in Athens, GA, these lollipops are an homage to the brew in all forms whether it be black coffee, pumpkin spice latte, vanilla latte, cinnamon, or peppermint mocha. The candy enthusiast and coffee drinker will relish the opportunity to have their caffeine in the shape of a lollipop. Treat them to 20 round lollipops that are individually wrapped for days of enjoyment.